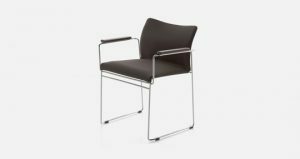 Hi-cut offers perfect ergonomic seating combining flexibility and solidity, while the changing vertical stripes on the top’s structure add an attractive play of light and reflections. 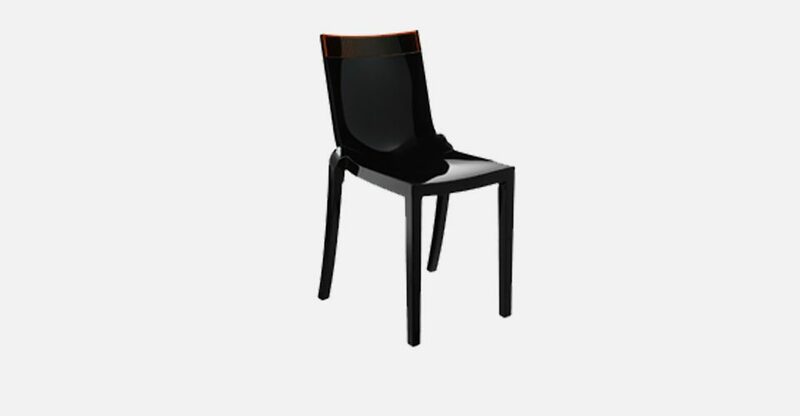 With its minimal and clean design, this chair is reminiscent of an Art Deco mood made eclectic and precious, bringing a touch of personality and originality to any setting. 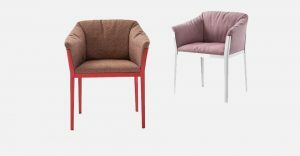 Hi-Cut can be combined with a range of colours for the top, whether bright (purple, red, green and orange) or soft (crystal and smoke grey). 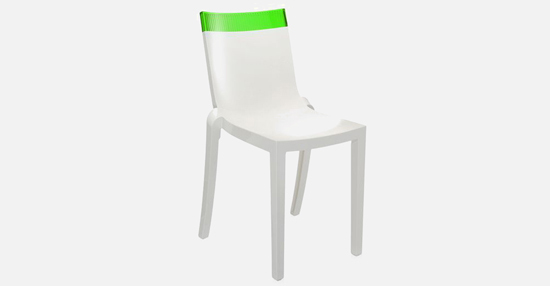 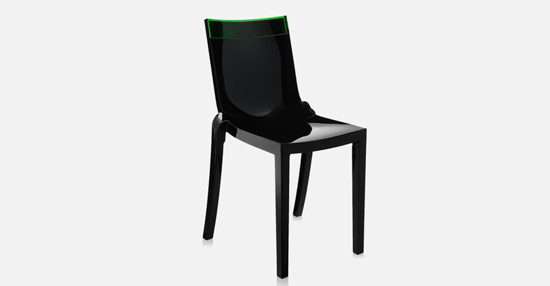 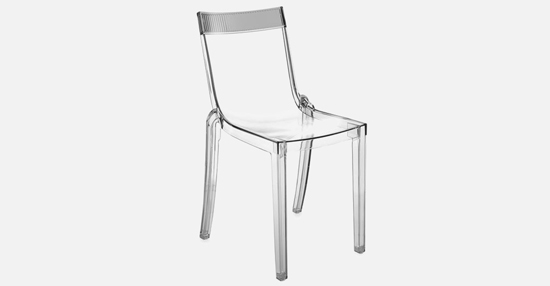 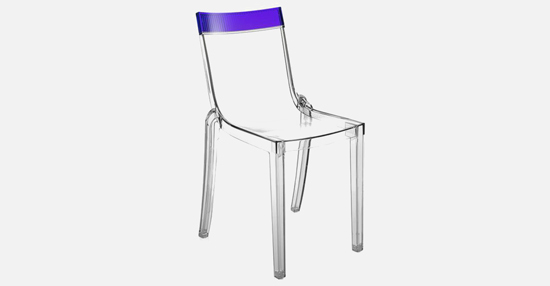 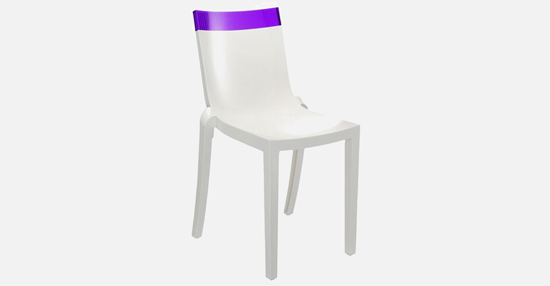 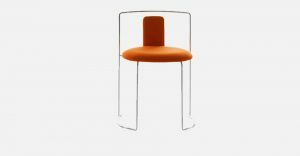 The design of the chair’s structure, made in a single mould, plays on curves and angles: the front legs are square, as is the front part of the chair, while the back legs and the backrest have a smoother, rounded line which becomes sharper at the top of the backrest.